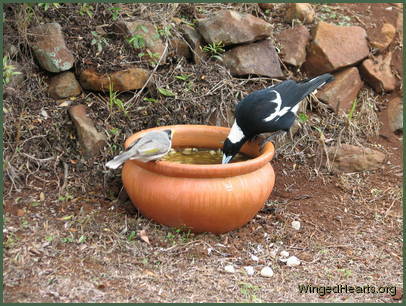 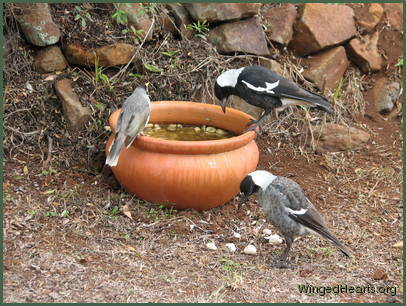 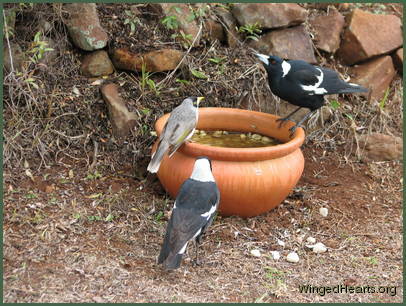 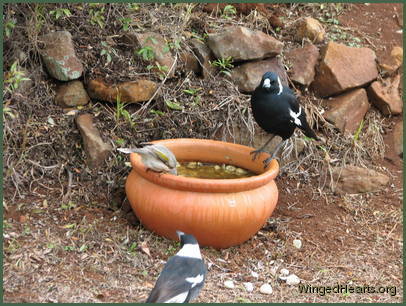 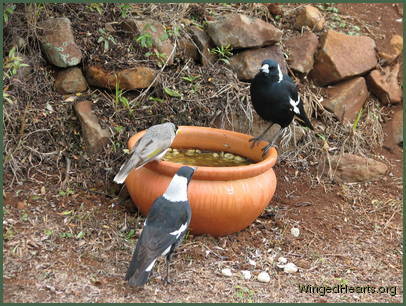 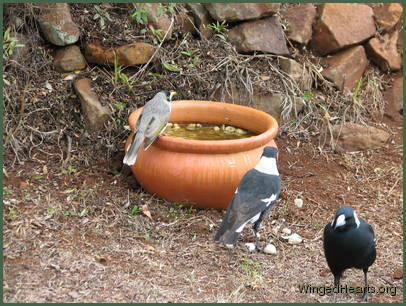 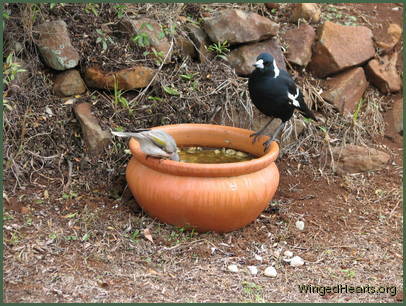 Maggie Magpie and Minnie Noisy-miner are long time friends. 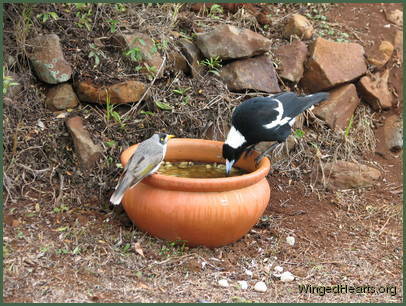 Here they enjoy a drink together. 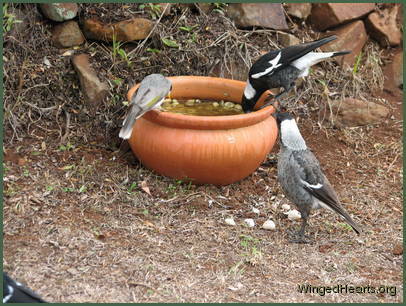 Maggie's daughter Sparky ( two years old) also want to join them while her juvenile sister Wendy waits her turn. 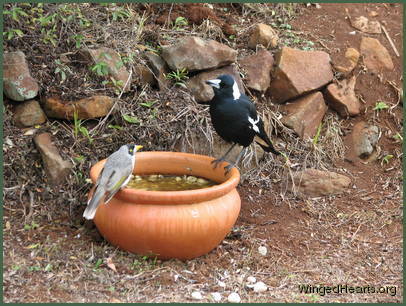 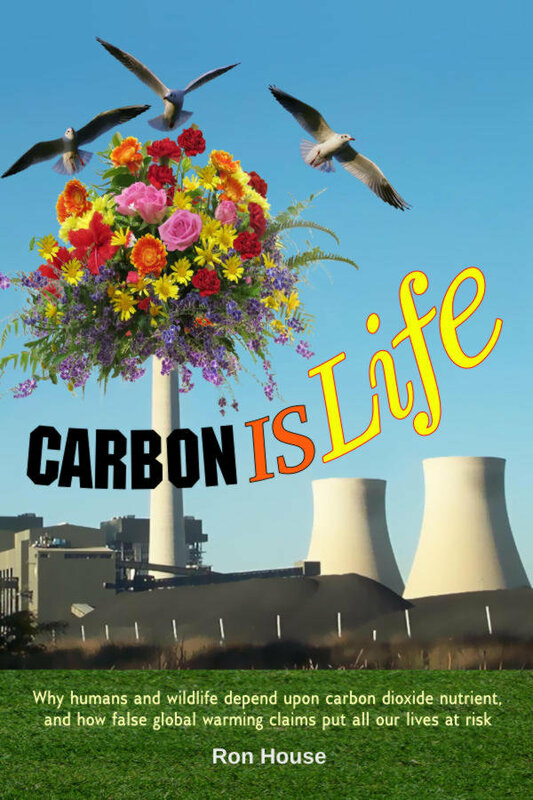 (This is an Auto slideshow, if it does not run press 'next' to start ).